I WOULD LIKE TO THANK A LOT OF LIBYAN FRIENDS THAT IN LIBYA SUPPORTED ME DURING MY ARREST AND CAME TO VISIT ME EVERY NIGHT AND PHONE ME EVERY HOUR AND BROUGHT ME FOOD, MEDICINES AND CLEAN CLOTHES. SHUKRAN JAZILAN UA BARAK ALLAH FIKUM. ALSO THANKS TO ALL LIBYANS (JEWS, MUSLIMS AND CHRISTIANS) THAT SYMPATHIZE AND SUPPORT ME FROM ABROAD. TO ALL OTHER LIBYANS THAT INSULT, CURSE AND THREATEN ME...CARRY ON DRINKING THE SEA OF BENGHAZI !!! Luzon said his ordeal began in Benghazi on July 22 when “suddenly a friend sent me a text warning me to be careful that security forces are looking for me,” he recalled. “I immediately called the Italian consul who came to my hotel, but when I went to the lobby to meet him he was surrounded by 12 to 15 armed men. Luzon, who said he was in the country for business, was kept behind bars at a military camp outside the Mediterranean city without being told why. The Libyan Jew said men he identified as belonging to the muchabarat, or the preventive security, interrogated him daily. Meanwhile, news that a “Jewish leader was abducted” appeared in the Libyan press. After four days in prison, Luzon was freed and kept under house arrest at a friend’s residence in Benghazi. Still, he was not allowed to leave the country. A citizen of Britain and Italy, Luzon said both countries intervened on his behalf. He credited British MP Robert Halfon, whose father was a Libyan Jew, and Italian consul Guido Bessanti, for securing his release. Asked why he had been arrested, Luzon said he was still not sure. 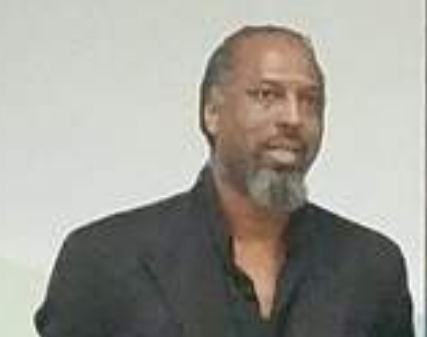 “I don’t know why, but privately I’ve been told that there is a big fight between the groups and everybody wanted to be the one that arrested and released me,” he said. Luzon and other members of the former Jewish community of Libya, who were forced to leave the country in the 1960s and 1970s, have for years been lobbying for the return of considerable private and communal Jewish assets that were confiscated by the regime of slain dictator Muammar Gaddafi. After Gaddafi’s fall in 2011, there was hope the country might open up and address the grievances of its exiled Jews, but so far little progress has been made. 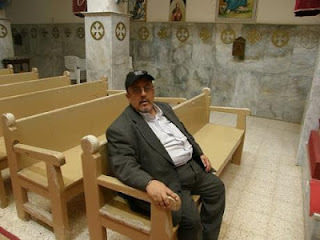 Last year David Gerbi, another Libyan-born Jew, received death threats after he tried to reconsecrate a synagogue in Tripoli, forcing him to flee the country. Luzon, who makes a point of distancing himself from Gerbi, has been negotiating with Libyan officials over the rights of Jews to little avail. Elio Raccah, a member of the Jewish Libyan community in exile based in Italy, the country’s former colonial ruler, said he had few expectations that he would be welcome back to Libya in the near future. The question of Jewish rights remains mute in Libya, where a multitude of rival groups and clans are fighting for power in the power vacuum created by Gaddafi’s ousting. Last month, when elections were held for the first time, the National Forces Alliance, a non-Islamist, liberal party, emerged triumphant, bucking the Islamist trend in Arab Spring countries like Tunisia and Egypt. It remains to be seen, however, whether Western-educated Mahmoud Jibril who leads the party will be able to reestablish the rule of law in the oil-rich nation. Despite his recent experience, Luzon said he had not given up fighting for the rights of Libyan Jews. “They were under a regime for decades and they do not distinguish between a Jew and a Jewish Zionist, religious or secular,” Luzon added. Gerard Borgel published four recently-taken photographs in Harissa. They show overturned and crumbling graves, vandalised marble headstones, and grass invading the cemetery. "Do not let our dead disappear for ever!" Borgel appeals to Harissa readers. In June Point of No Return featured The Forward's video report on the deteriorating state of the Borgel Jewish cemetery, the largest in North Africa, which contains 30,000 Jewish graves. 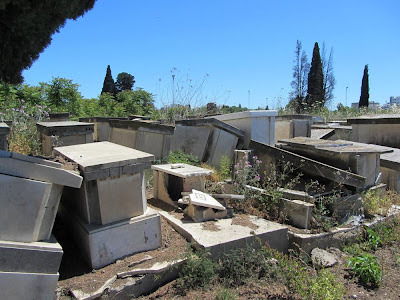 A small number were transferred from another Jewish cemetery in the centre of Tunis, including the tomb of the famous Rabbi Hai Taieb (Lo Met). This central cemetery was turned into a park shortly after Tunisia gained its independence in 1956, and the vast majority of tombs bulldozed into the ground. Unless something is done urgently, fears lone campaigner Joseph Krief, the same fate awaits the Borgel. Once on the outskirts of Tunis, the cemetery is threatened by the encroaching city, and soaring land values make it ripe for redevelopment if it is declared 'abandoned'. Krief has been leading a drive to raise funds to clean up and restore the cemetery, so far without success. 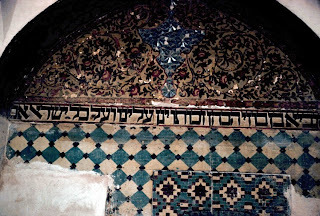 If nothing is done soon, another slice of Tunisian-Jewish history will be lost for ever. One day this spring, on the condition that I not reveal any details of its location nor the stringent security measures in place to protect its contents, I entered a hidden vault at the Israel Museum and gazed upon the Aleppo Codex — the oldest, most complete, most accurate text of the Hebrew Bible. The story of how it arrived here, in Jerusalem, is a tale of ancient fears and modern prejudices, one that touches on one of the rawest nerves in Israeli society: the clash of cultures between Jews from Arab countries and the European Jews, or Ashkenazim, who controlled the country during its formative years. And the story of how some 200 pages of the codex went missing — and to this day remain the object of searches carried out around the globe by biblical scholars, private investigators, shadowy businessmen and the Mossad, Israel’s intelligence agency — is one of the great mysteries in Jewish history. As a small group of us stood in a circle inside the vault in which the codex now resides, Michael Maggen, the head of the museum’s paper-conservation lab, donned a pair of gloves and carefully lifted one of its unbound pages, covered with three columns of beautiful calligraphy, for us to see. The pages were made from animal hides that were stretched and bleached and cut to make parchment; the scribe’s ink was made of powdered tree galls mixed with iron sulfate and black soot. “Considering the difficult conditions that the manuscript suffered over a great many years,” James Snyder, the museum’s director, said, “it is in remarkably excellent condition.” Snyder was happy to talk about how fortunate the museum was to be able to display the codex alongside the 2,000-year-old Dead Sea Scrolls and about the painstaking restoration that has taken place. But he refused to speculate on the sensitive question of where the missing pages, which constitute about 40 percent of the codex and whose value is estimated to be in the many millions of dollars, might be and how they might have disappeared. To talk to the many individuals who are obsessed with finding the missing portions of the codex or solving the mystery of who stole them, or whose histories are somehow bound up with the story of the book, is to get a glimpse of the power it has held over people for more than a thousand years. In Aleppo, Syria, where the codex was safeguarded for six centuries, it was believed to possess magical properties. It was said that women who looked upon it would become pregnant, that those who held the keys to its safe were blessed, that anyone who stole or sold the codex was cursed and that a terrible plague would wipe out the Jewish community if it were removed from their synagogue. At the tops of some of the pages, the Aleppo elders inscribed a warning to would-be thieves: “Sacred to Yahweh, not to be sold or defiled.” And elsewhere: “Cursed be he who steals it, and cursed be he who sells it.” Among some parties, those fears persist even today. According to tradition, early in the sixth century, a group of sages led by the Ben-Asher family in Tiberias, on the Sea of Galilee, undertook the task of creating a formal and final text. The use of codex technology — a method that made it possible to record information on both sides of a page, in book form, as a cheaper alternative to scrolls — had already evolved in Rome. 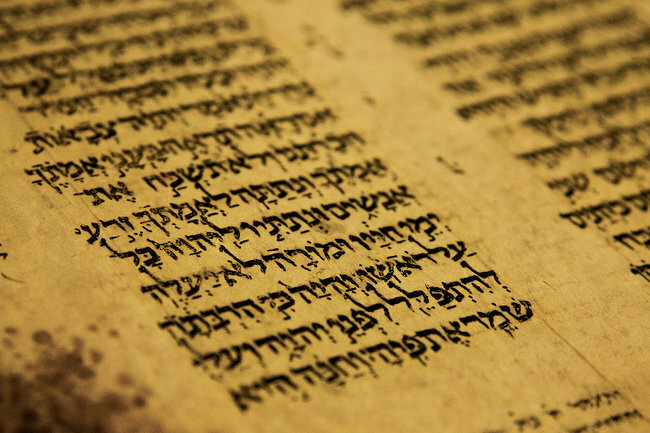 Around A.D. 930, the sages in Tiberias assembled all 24 holy books and completed the writing of the codex, the first definitive Tanakh, or Hebrew Bible. From Tiberias, the codex was taken to Jerusalem. But Crusaders laid waste to the city in 1099, slaughtering its inhabitants and taking the codex. The prosperous Jewish community of Fustat, near Cairo, paid a huge ransom for it. Later, in the 12th century, it served Maimonides, who referred to it as the most accurate holy text, as a reference for his major work, the Mishneh Torah. In the 14th century, the great-great-great-grandson of Maimonides migrated to Aleppo, bringing the codex with him. There it was kept, for the next 600 years, in a safe within a small crypt hewed in the rock beneath Aleppo’s great synagogue. The story of what happened next — how the codex came to Israel and where the missing pages might have gone — is a murky and often contradictory one, told by many self-serving or unreliable narrators. In his book, “The Aleppo Codex: A True Story of Obsession, Faith and the Pursuit of an Ancient Bible,” published in May by Algonquin Books, the Canadian-Israeli journalist Matti Friedman presents a compelling and thoroughly researched account of the story, some of which served as the catalyst for additional reporting here. "The Iranian authorities have published their results for the 2011 census, which shows that the country today has about 8,700 Jews, a number much lower than estimates of the size of the community in the Islamic Republic indicate. The Department of Strategic Planning and Supervision at the presidential palace in Tehran presented on its website the full report on data gathered during the census conducted in the country last year. According to the census director 75.2 million people currently live in Iran, less than the figures given by the American Central Intelligence Agency. This placed the number of residents at about 78.86 million people as of July 2011. Only Egypt, with about 81 million inhabitants, has a larger population. Of the total, 73.5 million residents are Iranian. The largest minority group is Afghan, with 1.5 million people, immediately followed by 51,500 Iraqis, Pakistanis (17,700) and Turks (16,000). The census conducted six years ago put the number of Jews in Iran at 9,252 persons. 'Drawing from Memory', broadcast tonight on the US channel KQED, is a film about cartoonist Joann Sfar, whose famous film, The Rabbi's Cat is based on his grandmother's tales of her native Algeria. The San Franciso Jewish Weekly has this profile of filmaker Sam Ball, and his subject Joann Sfar. If anyone still thinks comic books or graphic novels are strictly kids’ stuff, a few minutes with Parisian cartoonist Joann Sfar will erase that misconception. Inspired by his grandmother’s tales of life in Algeria in the 1920s, Sfar set his talking-cat saga in a neighborhood where Jewish, Arab and French traditions coexisted and overlapped. “Joann Sfar Draws from Memory” airs on KQED (tonight) following its appearance in the San Francisco Jewish Film Festival. Sfar’s screen adaptation of “The Rabbi’s Cat” won the César for best animated feature last year and is just beginning to reach the U.S. The fast of Tisha b'Ab (9th Av), which technically falls tomorrow but actually is marked on Sunday because mourning is forbidden on the Sabbath, is the darkest day of the Jewish calendar. It is a day of mourning commemorating the destruction of the First and Second Temples in Jerusalem, and other misfortunes that have befallen the Jewish people. It is customary for mourners to read the Book of Lamentations. Among Jews of Aleppo the portion of the law read on Shabbat Ekha, just before the Fast, is sung to Maqam Hijaz. "There is consensus among ALL sources to apply Hijaz; this maqam (octave scale) is reserved to express sadness", says the blog Pizmonim Project.
" My mother was born on July 23, which happened to be 9 Av, the destruction of Solomon's Temple and also the date of the Expulsion of Jews from Spain. Everyone called it Yom Ekha. Anyone who knows his Jewish calendar could easily guess which year Yom Ekha happened to be on July 23. But people were not te-ill el dam, heavy-blooded, and were not going to complicate their lives or waste time with such futilities. "Yom Ekha is a very bad day in our calendar. It is not the day to sign an important contract, getting engaged or married. Sexual relations are forbidden. You cannot go the swimming pool or have a swim in the sea; you just sit around, pray and wait for Yom Ekha to pass away. "Several expressions are attached to that day. It is an expression of disbelief. If someone says," I'll do this or that," you can answer "Oh yes, Yom Ekha". It is the same as saying we'll never see that. Of someone who is not resourceful you could say Ekha aleh or Ekha aleha. Aleh means on him and aleha on her. "My mother was convinced that being born on Yom Ekha she was bound to be unlucky: fall off her beloved ladder, burn her hand with boiling oil or have money stolen from her bag when shopping. All the misfortunes that happened to her were because she was born on July 23, which in the year of her birth happened to be Yom Ekha." Jonathan Freedland is perhaps the last Zionist columnist to write for the Guardian newspaper since its takeover - ( the Middle East desk's takeover at any rate) - by militant anti-Zionist Marxists. You could also say the same about another bastion of leftist media in the UK, The New Statesman, whose latest issue has several articles about Israel, one of them written by Freedland. Freedland does the New Statesman a service by defining Zionism in the true sense of the word - stripped of all its 'right-wing settler expansionism' baggage. Someone needed to write that the much-maligned word means the right of Jewish people to have a state of their own - nothing more, nothing less - and Jonathan does that well. The first step is surely to face the historical record with honesty. It is no good to pretend, as Israel’s supporters did for several decades, that the violent dispossession of the 1947-49 period did not happen. It did and there needs to be a reckoning. Instead of seeking to ban all public recognition of the Naqba, as the Knesset did last year, Israel needs to look plainly at the circumstances of its birth and understand why Palestinians regard that event as a catastrophe. That process has begun: what’s more, the work of revising the original Zionist narrative, excavating the truth of 1948 from the archives, was done by Israel’s own “new historians”. Of course it needs to go further. Several years ago the Israeli daily Haaretz aired a proposal for a national memorial day to mark the Arab dispossession, along with a project to name and commemorate each of the Arab villages that was left empty by its inhabitants, who had either fled or been expelled. The idea found few takers. The circumstances of Israel's birth are that the Arab side rejected partition and instigated a war. That's why those Arab villages were left empty. The Palestinian Mufti was a cheerleader for war and the destruction of the Jews. Does the aggressor never have to pay a price? What if the Arabs had won? Should the Jews apologise for winning? What's more, the historical record will always be distorted until Arab historians do like the Israeli 'new historians' and honestly examine the crimes and misdemeanours committed by their own governments against their innocent Jewish citizens. But these Jews don't even enter Freedland's consciousness. What about the Jewish quarters of Baghdad, Cairo and Tripoli - even Aleppo, now in the news - laid waste of their Jews, their property seized and their communal buildings abandoned? What about the acres of Jewish land sequestered? And that's just the material losses. What about the lives destroyed by their uprooting, the families dismembered, the communities atomised? Would Freedland support a Memorial Day for the Jews? My blood pressure went up another notch when reading this quote from the famous novelist Amos Oz, resurrected by Freedland: Israel had a moral right – the right of the drowning man. Such a man is entitled to grab hold of a piece of driftwood even if another man is already holding it. The drowning man can even make the other man share it, by force, if necessary. His moral right ends, however, the moment he pushes the other man into the sea. To perpetuate the analogy, the other man holding the driftwood already possesses a whole fleet of ships, some of which he pirated from the first man. But the other man will not give up his claim to the driftwood. Why has there been no proper inventory of losses on all sides? No proper reckoning? Why do Freedland and Oz promote such a one-sided and misleading account? Aside from decontextualising it, Freedland and Oz still misunderstand the Palestinian-Israel conflict as one over territory, whereas it has long been an ideological struggle to prevent the despised Jews from ruling themselves. But that's another story, and pigs will fly before we ever see that particular argument put forward in the New Statesman. Ed Husain has come a long way since he rejected the path of jihad. He tells his remarkable story in his book, The Reluctant Fundamentalist. In this article for the Foreign Relations Council, where Husain is a Middle East specialist, he calls for an end to Holocaust denial in Arab countries. A very worthy initiative, but is it enough? See my comment below. Last week I visited the West Bank and Israel, where I met people from varied walks of life. In conversations with young Arabs, I was saddened to hear that Holocaust denial continues to be part of the normative mindset among so many in such an important part of the world. Their grievances with the modern State of Israel are real, but this does not give them the mandate to rewrite history. What’s worse is the schizophrenia of denying that the Holocaust occurred, while claiming that “Hitler did not eliminate all of the Jews because he wanted to spare some so the world can see how they behave in Israel with Arabs.” Implicit in this argument, of course, are the ideas that the Holocaust was part of a plot to create Israel, and that Hitler’s actions are justified. These are not fringe conspiracy theories. I’ve heard similar rejections of the Holocaust from political leaders in the Middle East, academics, youth leaders, and imams. The virus is so widespread that it impacts Muslims living in Europe. For several years, the Muslim Council of Britain refused to attend Holocaust Memorial Day. In response to this widespread problem, the West’s most prominent Muslim scholar, Shaikh Hamza Yusuf, wrote that Holocaust denial was tantamount to denying Muslim scripture. Just as Muslims believe in hadith literature because of the solid reports (mutawatir) confirming events in seventh century Arabia, we are obliged to believe in the Holocaust by virtue of eyewitness accounts, extant documents, and the presence of Auschwitz and other sites. Such arguments, theological or otherwise, are yet to be made among Muslims in the East. But there is good news. Not all Arabs followed the disastrous and disgraceful lead of the mufti of Jerusalem, Hajj Amin al-Husseini, who traveled to Berlin to support the Nazis. Other Arabs helped Jews escape the Holocaust. My friend Robert Satloff, executive director of the Washington Institute for Near East Policy, documents this history in his book Among the Righteous. The Holocaust Memorial Museum is needed in the Arab world today. The stories that Rob Satloff tells us need amplifying among young Arabs. They too should be proud of helping a persecuted people avoid the Nazis. The history of the Holocaust is forever instructive in preventing genocides. Where the rhetoric of hatred becomes acceptable, politicians soon emerge to ride that storm. Which Arab countries will open branches of the Holocaust Memorial Museum in their capitals? My comment: I am delighted that Ed Husain wants Arab countries to stop rewriting history by denying the Holocaust. His call for branches of the Holocaust Memorial Museum to be opened in Arab countries is entirely laudable. But Husain must not in turn rewrite history by minimising the very real, and at times overwhelming support that the Nazis found in Arab countries. The Mufti was not just a pro-Nazi individual, he was the leader of the Arab world. Husain takes comfort in those Muslim heroes who rescued Jews. But as his friend Robert Satloff writes in his book Among the Righteous, those who persecuted Jews must not be forgotten either. This tendency to whitewash Arab and Muslim sympathy for, and participation in, the persecution of the Jews during the Nazi era is why projects such as the Aladdin campaign to fight Holocaust denial in the Arab world have ended in failure: They misrepresent the Holocaust as Europe's problem, and put the Arabs on the side of the angels. The result has been to confirm the Palestinians as victims of the Jews. 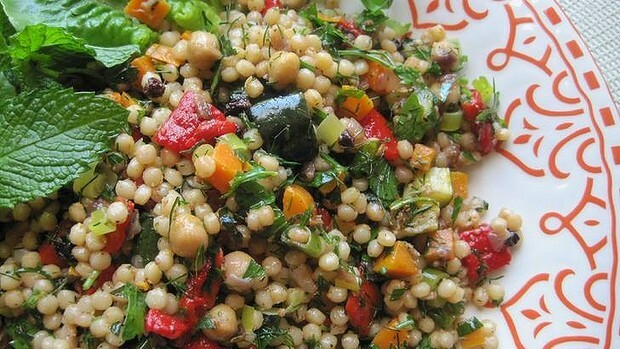 Israeli couscous looks like little pearls of white pasta - and is often called pearl couscous. It is made with pelletised semolina. In Hebrew, it is called ptitim and is not actually couscous. It was developed to feed the Mizrahi Jews fleeing to Israel from countries such as Iraq and Syria during the 1940s. Prime Minister David Ben-Gurion wanted a wheat-based, rice-like staple to feed them and a company developed ptitim made from hard wheat and then roasted. Boil it in salted water for 10-12 minutes and serve like rice, or use it as the basis for a salad - perhaps adding some finely chopped mint, parsley and tomatoes, olive oil, fresh lemon juice and sea salt flakes. It is excellent if toasted in a little oil in a heavy-based saucepan for a few minutes. This seals in the starch and you can then cook it like risotto with onion and perhaps some vegetables, adding ladles of hot chicken stock and stirring as you go. It's a well-worn paradox: on Sunday, a Jew from an Arab country swears that he lived happily alongside Arabs. On Thursday, he says life was awful. So which is the truth? The Moroccan-born historian Georges Bensoussan (pictured) imagines he has found the answer in his ground-breaking new book Juifs en pays arabes - le grand deracinement 1850 - 1975 (not yet available in English). The two experiences are not contradictory, they are complementary. What passes for the story of Sephardi and Mizrahi Jews in the West is actually folklore, says Bensoussan in this must-see Akadem video, which I will try to summarise for non-French readers. 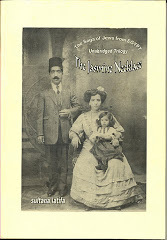 The Jews themselves spread the myth of the Jewish idyll in Arab countries because they were children at the time, and childhood is associated with happy memories. And the further you went up the social scale, the happier the memories. But Bensoussan cross-references available historical sources - the Zionist archives in Jerusalem, the Alliance Israelite Universelle archives in Paris and the French national archives in Nantes, travellers' diaries, such as that of Charles de Foucault (1883) in Morocco, and diplomatic reports. Although the Arab archives remain closed, the overwhelming weight of evidence points to the fact Jews in Arab and Muslim lands lived in misery and fear. Yet the myth of the enchanted history of the Jews refuses to die. In May Bensoussan issued a rebuttal via the CRIF, the organisation representing Jews in France, to an article in Telerama suggesting that antisemitism arrived in Morocco with the French and that Zionist agents made the Jews leave against their will. Bensoussan also find it irritating that Jewish sources lay great store by historians such as Moroccan Mohammed Kenbib without having read his work. According to Bensoussan, who read every line of Kenbib's doctoral thesis, Kenbib blames the Jews for their own misfortunes. Historians usually say that the definitive break between Jews and Arabs took place with the establishment of Israel in 1948. 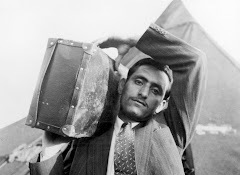 But for Bensoussan, the post-1948 exodus was not a break, it was an 'aggravated divorce'. The process began a century earlier when Jews began educating their children in western schools; half a million Jewish children passed through the Alliance Israelite Universelle school system. What started as a crack became a gap, then a chasm. The Muslim Arabs lagged behind in literacy by at least a generation. This of course explains why the Nazis found it easy to brainwash the illiterate masses in Arab countries through intensive radio broadcast propaganda during WW2. Jews were actually expelled only in 1956 in Egypt. Everywhere else, says Bensoussan, 'the Arab states did everything in their power to make the Jews leave'. 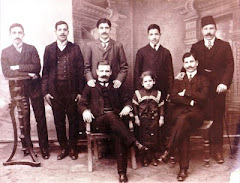 In the 20th century Arab nationalism took on a Nazi-style blood-and-soil character which excluded Jews, in spite of their huge contribution to culture and society (one third of all writers in Iraq were Jewish). Then Jews were viewed as an ethnicity - today they are seen as a religion. Bensoussan is one of the few historians to write about Jews in Arab lands as a whole, without treating each community country-by-country. Coexistence with the Muslims was only possible on the understanding that Jews accepted their inferiority as 'dhimmis'. 'The Jews were the colonised of the colonised,' he says. What is the attitude of the ruling Moroccan Islamists to Jews? On the one hand they have berated a Berber Muslim film-maker for his sympathetic portrait of Berber Jews now in Israel. On the other hand, they invited an anti-Zionist Israeli to their convention - although his mere presence there sparked local rage. A Moroccan Berber film-maker has been accused by the ruling Islamist party of treason, Zionism and wishing to 'normalise' relations with Israel. The Catholic newspaper La Croix reports that the minister of communications asked for an explanation after a TV screening of Kamal Hachkar's film Tinghir-Jerusalem. 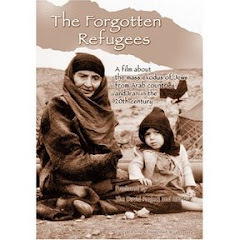 His is the first film to deal with the exodus of Berber Jews from his home town of Tinghir to Israel, which he visited. (Reviewed here - unfortunately the video and trailer are no longer available). "It's pure antisemitism," retorted Hachkar." There is nothing in this film making it an apologia for the state of Israel. It tells historical facts which most Moroccan youth are not aware of...With the 'Arab Spring', we are seeing an obscurantist political Islamism emerge. This intolerant Islam is not mine, it is not our grandparents' either, who lived in Tinghir. Today, an ideological battle is being waged." An Israeli peace activist and former assistant to Israeli Prime Minister Yitzhak Rabin was a guest at an Islamist party convention in Morocco, where he met Hamas leader Khaled Mashaal, according to Noam Nir, an Israeli who lives in Essaouira, Morocco. Nir reports on his blog, The King and I, that Ofer Bronstein was rejected by Jewish organizations in France but was invited as a guest by the ruling Islamist party in Morocco, where he met with Hamas political leader Khaled Mishaal. Bronstein's presence sparked local rage and officials threaten to resign their posts. The organisers explained: Bronstein is French and "a good friend of the Palestinian people." In addition to his French passport Bronstein carries a Palestinian passport. Two Jewish worlds came to an end in the 1940s. We are familiar with the first, which many of us think of simply as the Jewish world: Jewish humor, Jewish cuisine, Jewish writing — all of these terms apply, in North American parlance, to the Jews of Europe. The Jewish world of the Middle East included fewer people and ended in less cataclysmic circumstances. But it was just as Jewish and just as important, and it is just as gone. In discussing the modern state of Israel, the Jews of the Middle East are often mentioned as a kind of curiosity, an aside in what we tell as a European story — pogroms, Herzl, Zionism, the Holocaust. In this story, Jews and Arabs first encountered each other in the late 19th century; we imagine the Russian-born pioneer encountering the Arab fellah on the rocky soil of Palestine. But that isn’t true, and the Jews who had always lived in the Middle East are not a footnote. When Islam began in Arabia, Jews were there, and when the first Muslims began spreading to cities across the Mideast, they found Jews there as well. Jews were recognized by Islam as a protected, second-class ethnic group, dhimmi, sometimes persecuted, sometimes tolerated. They were generally considered to be effete and without honor. In recent years it has become common to speak of the Muslim Middle East as a haven in which Jews thrived, but this is nonsense; the Islamic world owes its good reputation in this regard to Europeans, who set a standard for mistreatment that is impossible to match. Jews had existed in the Muslim imagination for many centuries by the time the first Zionists arrived in the Middle East, and the place they occupied in that imagination made the Zionist project problematic in ways that are still playing out. Jews were inferior to Muslims by definition. They were weak, a subject community, and that made their success in Palestine impossible to accept: Being beaten and outsmarted by a powerful empire like Britain or France was one thing. Being beaten and dominated by Jews — as Arabs were, again and again, before 1948 and in subsequent wars — was a humiliation that simply could not be accepted. It was like being beaten by a girl. The depth of this humiliation, which lies at the root of today’s conflict, is something Israel and its supporters have too often failed to appreciate. By the 1950s, most of the Jews of the Middle East were concentrated in Israel, and they played a central role in forging the national life of the country. And yet it has been convenient for all parties, Israelis included, to describe Israel as a European enclave. For Israelis, this claim allows them a sense of superiority. For the Arabs, it allows the erasure of the fate of their own Jewish communities and enables them to portray Israel as a Western invader. It has become cliché, for example, to note that hummus and falafel and other Middle Eastern foods that Israelis consider to be Israeli are in fact a native cuisine appropriated by newcomers. This only makes sense if you don’t understand that fully 50 percent of Israel’s Jews are the people who were kicked out of Islamic countries or their descendants — the cuisine of the Mideast, of course, belongs to them and their countrymen as much as it does to anyone else. When we look at Israel and its neighbors, and at the last Jewish century, we would benefit by restoring this missing history to its place — right at the center of the story. They share everything with Algerians except - religion. They are the Jews of Algeria. Today, they still continue to hide in order to lead a better life. I'm only 24 years old. But I've spent most of my life in hiding. To hide my secret, that of my family, my peers. I am Algerian. With my community, I share the sky, sea, earth, the joys and sorrows. But not religion. To the writer the Jew is not a separate ethnicity - he is indistinguishable from his fellow Arabs except in matters of faith: a not uncommon Arab attitude. Now, after studying law, I'm going abroad to study at a Hebrew school to further my knowledge and specialize in the study of worship and North African Algerian Judaism in particular. I want to become the future rabbi in Algeria so that finally one day we can celebrate faith in Hashem on this earth, in freedom, in peace and in sharing, respecting the laws of the Republic and living together. To whom would this rabbi minister? The writer seems unaware that the remaining Jews of Algeria, barring a handful, left in the mid-1970s. He is typical of many Arabs who have created a phantom Jewish community in their imaginations, perhaps to serve a political purpose. My name is Naim and I'm a Jewish toshav. I was born one summer 1988 in Algiers. It was beautiful. There was no indication that the fall would take a dramatic turn in the tormented life of my country. Despite this, my family has always refused to leave Algeria and remained tied to its history for centuries. In 1962, when many Jews were leaving in haste, carried by the rumors according to which all Jews would be "slaughtered", my grandfather decided to stay. "Here, this is our land. Your parents and ancestors were born here and we have nowhere else to go, "he repeated in each discussion. The grandfather symbolises the figure of the Jew as Algerian patriot. In reality, most Jews remained neutral between the OAS and FLN until they began to be harassed and murdered and the Great synagogue of Algiers set alight. Soon the nationalists were threatening Jews, along with the pieds noirs, with the bleak choice of coffin or ship. All but a few thousand chose to leave in 1962. My parents were very tempted to make aliyah to Israel, but my grandfather deterred them. 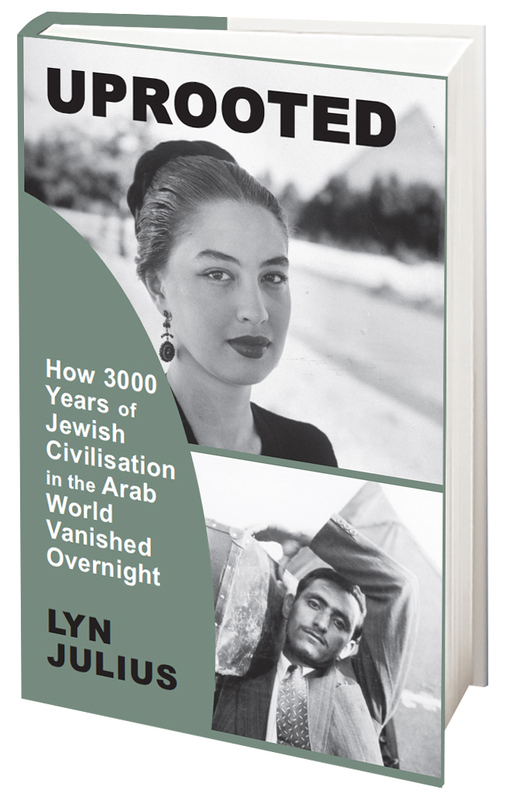 "In 1963, Israel had forbidden Algerians to make Aliyah, like other Jews of the world. The treatment of Algerian Judaism and Jews of Algeria in 1963 in Jerusalem was shameful and contemptuous of us. Just because we had not made aliyah en masse and that we were special. The truth is the exact opposite. Israel never forbade Algerian Jews for coming en masse to its shores, although some 10,000 - 14,000 did - mainly to Ashdod. But we are proud to be who we are. Do not expect another. Trust our Algerian brothers. Promise me you'll stay here no matter what, my son, " he said to my father. My grandfather, at the time a shopkeeper in Znikat Laârayass in the Lower Casbah, helped his mujahideen brothers. His brother had even engaged in the National Liberation Army. This is a shaheed. Even today, old men and women of The Casbah remember the commitment of my family in the Revolution. France we had harmed, because it has assimilated and Frenchified us by this sordid Cremieux decree *. " Here the French are accused of driving a wedge between Jewish and Muslim Algerians. In fact French citizenship was originally also offered to Algerian Muslims, but turned down. France forbade our Jewish brethren to be buried in its soil. With this decree, she wanted to separate us from our Muslim brothers and embarrass us, "explained my grandfather. He had Algeria in his heart and saw no other heaven than that of Algiers. He was proud to be Algerian and did not accept any other name, refusing the labels "Jews of Algeria", "Jews of Algerian origin" or "Israelite or Jewish community in Algeria." He loved lamhadjab, and zlabia makrout. El Hadj El Anka brightened his days and evenings. Chaabi music was his favorite and Edmond Yafil, one of his greatest friends. The writer harks back to the golden age of Chaabi music, when Jewish and Muslim musicians of the 1950s played under the direction of the great maestro El Anka. My father was a quiet man who was scared all the time. He was an ambitious civil servant who, unfortunately, was dismissed from high office in the State because of his Jewishness, revealed after lengthy investigations of eligibility by the security services. An admission that Jews were discriminated against just for being Jews. He did not learn of halakha. I'll always remember this story. I was six and one day when I accompanied him to the fishery, we passed the Great Mosque of Sahat Echouhada. Berbers were trying to demonstrate outside the mosque. I watched this beautiful white mosque, its ornaments, when suddenly I saw the six-pointed stars: "Look at that star, it's weird, it has six branches!, It looks like the one on the wall of your room! "" One day you'll understand, my son! "My father gave me shifty eyes, after a long silence. I remember the school, the first lessons of Arabic alphabet. And Islamic education classes. We began to recite the Fatiha and Echahada. Something unusual to my ears. The tone was the same, but the words were different from those my mother used to pray in the evening or the day of Shabbat. In the evening, at dinner, my mother felt disturbed. She asked me questions, but I could not tell her anything. I expected to see her sitting and praying before a candle. It was at that moment that I realized that my mother did not recite the Quran and spoke a language other than Arabic. She did her dafayoumi. Before my stubborn silence, thinking me haunted by a spirit, she decided to treat me to the word of God. She recited dafa and threw water everywhere until I broke down and I told him: "At school, we learned the Quran and how to pray. But I've seen and you did not do what you tell us to do at school! "She remained stunned and then burst into tears:" We are like no other! We are Jewish, my son! May God protect you! " Through the small window of my room, I watched the sky. Shema Israel, Adonai Elohenou, Adonai Echad (people of Israel: Adonai is our only God, Adonai is one). This is our echahada to us Jews. I started to pray to God along with my mother. Faith has become the priority in my life. My mother had taken care to warn me: I was never to reveal my religious affiliation. Especially at this time. The writer has a bizarre understanding of Judaism, probably gleaned from motley internet sites. January 23, 1994, my maternal uncle visited us to tell us the murder of Raymond Louzoum. An optician Jewish Tunisian origin of the present street Didouche Mourad, foully murdered in front of the library of Fine Arts. My father hurried back to his work. He spent the evening talking with my mother. I heard him shout "No! I stay here! I would not go anywhere else! "My uncle came back a few days later and took me to the synagogue. Finally, let's say a room converted into a place of prayer. During the 1990s, the Jews of Algeria were forced to be more discreet. It was risky in that bloody period of Algeria. We used to pray in a small mosque where the imam had allowed us in for Shabbat. The imam did what? Incredible. Verdict: in my view, the story is a hoax. The Jew is a useful device for the writer - probably an anti-Islamist liberal - to put forward his vision of a pluralistic Algeria. 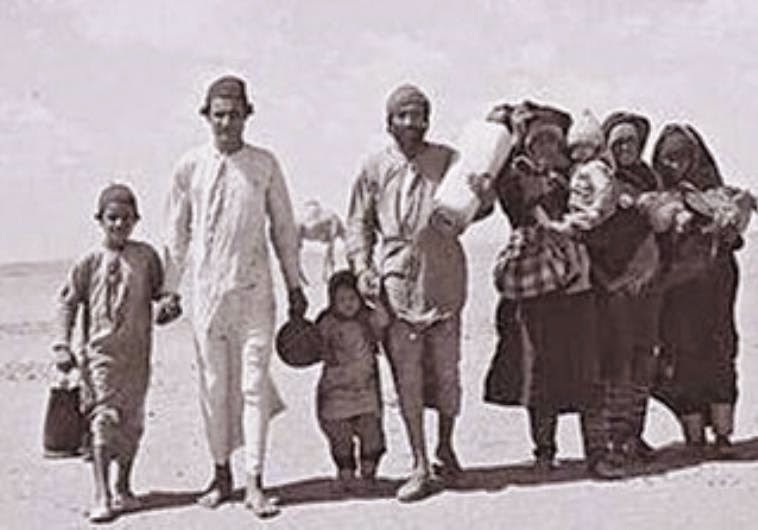 On this Jewish Refugee Day, students will learn about the 850,000 Jewish refugees who fled from their native Arab countries since the establishment of the State of Israel. Here at Harif (the UK association of Jews from the Middle East and North Africa), we have worked tirelessly with other organisations across the globe to lobby for this day. Co-founder of Harif, Lyn Julius stated "We are absolutely delighted, this was a long time in coming, but a great breakthrough and congratulations to Danny Ayalon. Over half of the population of Israel are there because of what happened to their parents and grandparents. My parents went through a traumatic exodus from Iraq in 1950-51 and it's important for the entire Jewish people, not just Sephardim, to remember that until they were forced to flee, these Jews lived continuously in the region centuries before it became known as the Arab world." This key achievement can be credited to Deputy Foreign Minister Danny Ayalon. He stated: "a new memorial day would correct a historical injustice by finally recognising the hundreds of thousands of Jewish refugees and victims who were persecuted and forced to leave their homes in Arabs countries". The recommended date for the commemoration is the anniversary of the "Farhud," the massive pogrom against the Jews of Iraq which broke out on the Jewish holiday of Shavuot on June 1–2, 1941. During the pogrom, at least 170, and up to 780, Iraqi Jews were murdered. See the video here. Ayalon said that "the Arab League should recognise the historical fault of Arab countries and these countries should bear responsibility for expelling the Jews and turning them into refugees." Joe Shaki, an Israeli expat living in London, felt this was a fantastic step forward, but he was cynical. Would Israel be able to change the attitudes of the Ashkenazi elite? He still feels bitter that his family lost their considerable wealth in Baghdad and suffer poverty in Israel. "The Jews from Arab countries are still feeling the effects of the Farhud even today and many are still struggling within Israeli society." The challenge for us at Harif is to mark this day in the UK too. We're hoping that the Jewish establishment in the Diaspora will take on this new day. Our predominantly Ashkenazi community simply don't feel connected when it comes to Sephardi issues. People I meet can't quite understand how I (an Ashkenazi woman) can be interested in Sephardi matters when it doesn't directly concern me. But it is impossible to have a grasp of Middle Eastern politics and hope to make peace without understanding how the Jews were treated when they lived as 'dhimmis' under 14 centuries of Muslim rule, especially in Yemen and North Africa. So many of our community believe that they previously lived as equals with their neighbours. But their status only really improved in the colonial era. Films like The Silent Exodus and The Forgotten Refugees spotlight a menacing tide of 20th century pro-Nazi Arab nationalism, sweeping away all minorities before it. I know these films have changed my understanding of the conflict. When you listen to their stories, you begin to understand why the Israeli Sephardi/Mizrahi community are so tough in their politics. Much tougher than their Ashkenazi cousins. And with good reason. They have nothing but their Israeli passports. There are no Polish grandparents through whom to claim an EU passport and retreat when times get hard. They have their backs to the wall, as they fight, work and protect the State of Israel. There is no alternative. No return to Iraq, Yemen, Syria, Egypt and Libya. Naive campaigns for coexistence at any cost created by the privileged in the West reflect neither their history nor their tragedy. Committee head MK Uri Ariel (Ichud Leumi) called to reject Sana’s statements. Legal Ministry representative Jean-Claude Nidam said Sana was in error. The definition of a refugee is not a person who was forced out of their country, he said, but rather, a person who is unprotected by his or her country. 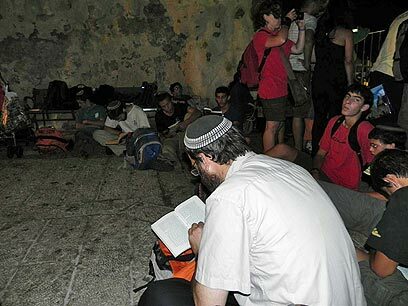 MK Zev called to not only record Jewish claims, but act to restore Jewish property. He noted that many families, including his wife’s family, left considerable property behind when they fled to Israel as penniless refugees. "In spite of its cinematic simplicity, this masterpiece from the 30's with Jewish and Muslim actors and an Egyptian-Jewish director is an eye-opener for our time. The situation that the film portrays, the social and spiritual affinity between Egyptians of different religions, is definitely not a fantasy born out of a well-meaning director's brain. 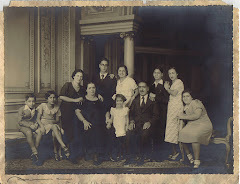 Born in the early fifties, I myself have experienced this closeness to Egypt's "last Jews." Today in Egypt just a few hundred Jews remain of the original fifty thousand, all apparently in their nineties. "1948, the year when Israel replaced Palestine, decimated the Egyptian-Jewish community. Already Togo Mizrahi had to leave the country that year. But, like most Egyptian Jews, he refused to emigrate to the newly formed Israel. He chose to go into exile in Italy where he lived until he died in the mid-eighties. 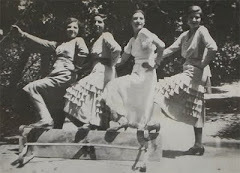 Between 1930 and 1946 Mizrahi directed and produced 32 films that still fascinates by their modesty and tolerance. In the forties, he launched Layla Murad, a Jewish woman who became the Arab world's foremost singer and actress, with five films. Few people in Egypt today know his name, although all have seen Layla Murad's films, which still appear on TV, like the old great classics they are. I ask myself, after seeing "The two delegates," the inevitable question. How would it have looked like today in Egypt and the Middle East if Israel had replaced Palestine, the Jews had to remain in their homelands? What losses did these countries suffer through this tragedy! The Jews were a living part of those communities. They felt that they never like strangers. They sang the same songs, played the same games, ate the same food, were dressed in the same galabiyas, told the same jokes, campaigned against the colonial masters and was thrown into the prisons of the same government, the criminal gangs who cooperate with the international mafias. When I see Mizrahi's movies, I get the feeling that he speaks to the future, he tries to reassure those who long to return to this forgotten sense of belonging." It's all or nothing - Iraq will not compromise on the Jewish archives. To read this JTA article, printed in the Times of Israel you would never know that the books, scrolls and documents were stolen from Jewish homes and synagogues. JERUSALEM (JTA) — Iraq has rejected a US offer to receive half of the country’s Jewish Archives, which were removed from Iraq in 2003 following the US launch of Operation Iraqi Freedom. The refusal appeared last month in the Iraqi newspaper al-Sabah, according to the Press TV news service. The archives, which were discovered in the flooded basement of Iraqi intelligence headquarters in Baghdad, include Torah scrolls, and Jewish law and children’s books. Seventy percent of the collection consists of Hebrew-language documents and 25 percent is in Arabic. The rest of the documents are written in other languages. The anti-missionary Yad L'Achim organization, which also works on behalf of Jewish women trapped in relationships with Arabs, revealed the extraordinary story, after “Dinah, the daughter of Leah,” was safely back among Jews. Dinah was born in the mixed Arab-Jewish city of Lod 48 years ago but became estranged from her family during an emotional crisis, which led her to a relationship with an Arab man. Since then, she was declared as missing, and her family did not know whether she was dead or alive. At one point, Israeli authorities mistakenly thought they had identified her in a morgue. She lived with her husband in a Palestinian Authority Arab village in the area of Tulkarm, east of Netanya. She said her husband traumatized her and once tied her to a tree for 13 hours, without food or water The husband said he wanted “everyone to see what will happen to you" if she were to leave the house without permission. Three weeks ago, ties were suddenly re-established with her family, which finally had a sign that Dinah was still alive. They contacted Yad L’Achim officials, who were given her telephone number and other personal information that enabled them to go into action to rescue her. Point of No Return has just learned the great news that the Israeli calendar will have an official day to mark the tragedy of the expulsion of the Jews from Arab countries. The Ministerial Committee on Ceremonies and Symbols in Israel, led by the Minister of Tourism Stas Misezhnikov, approved a proposal yesterday to set a special day marking the Arab riots and expulsion of Jews from Arab countries. The proposal for a special memorial day was made by the deputy foreign minister, Danny Ayalon (above). Organisations representing Jews from Arab countries will be consulted in order to decide which date would be most appropriate. Deputy Foreign Minister Danny Ayalon said a new memorial day would correct a historical injustice by finally recognizing the hundreds of thousands of Jewish refugees and victims who were persecuted and forced to leave their homes in Arabs countries. The committee resolved to consult the government to determine how the day should be marked. 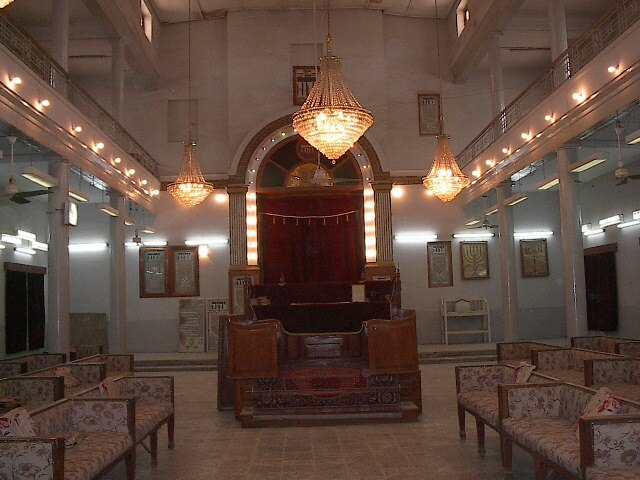 The recommended date for the commemoration is the day of the "Farhud," the large pogrom against the Jews of Baghdad in Iraq which fell on the Jewish holiday of Shavuot on June 1–2, 1941. During the pogrom, at least 170, and up to 780, Iraqi Jews were murdered. 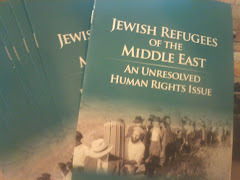 On the new memorial day, students will learn about the 850,000 Jewish refugees who fled from their native Arab countries since the establishment of the State of Israel. Ayalon has previously said that "the Arab League should recognize the historical fault of Arab countries and these countries should bear responsibility for expelling the Jews and turning them into refugees." An invitation issued by an Algerian Minister to Enrico Macias, the France-based Jewish singer, to visit the land of his birth, has been greeted with outrage, Al-Arabiya reports. Despite previous invitations, the singer, whose father-in-law Raymond Leyris was murdered by nationalists, has not been back since 1962. On a Youtube video, an activist based in London alleged that Macias's grandfather had urinated in a mosque (with thanks: Tom Gross). Algerian Communication Minister Naser Mehal took everyone by surprise when he announced an invitation to controversial Jewish singer Enrico Macias to visit Algeria, thus lifting the years-long ban on the Algerian-origin artist. Macias, slammed in Algeria for his pro-Israel stance, was banned from entering his country of origin twice, once in 2000 and 2007. Both times, massive demonstrations were held to protest his being hosted. Mehal, however, said that it was the singer who decided against visiting Algeria. Mehal accused Macias of lying when he declared that it was the Algerian government that canceled the visits following popular pressure. According to Mehal, Macias first planned to visit Algeria in 2000, a few months after President Abdelaziz Bouteflika took office. At that time, the vibes Macias got from the president were quite positive so he announced his visit, then changed his mind after Algerians took to the streets and called for banning him from entering the country. In 2007, former French President Nicolas Sarkozy decided to pay an official visit to Algeria and decided to include Macias in the delegation hoping that this would make it easier for the singer. However, the objection came from the Algerian government when the then Prime Minister Abdel Aziz Belkhadem threatened to boycott Sarkozy’s visit if Macias accompanied him. Belkhadem also launched a fierce campaign against the singer in several Algerian cities where he told people that he supported the French occupation and that he is pro-Israeli. Popular resistance to Macias’s visit was more forceful this time and triggered the establishment of a national committee against normalization with Israel which was headed by Khaled bin Ismail, a very close friend of Belkhadem and late Algerian President Ahmed Ben Bella. The committee was supported by the sons of martyrs and freedom fighters. However, it seemed that only some residents of his birthplace, the northern city of Constantine, were ready to receive him and, in fact, painted the Jewish cemetery in blue and white in preparation for his visit. Political analyst Abdul Aali Razaki warned of the consequences of Macias’s visit. “Algerians are known their dislike of all things Jewish, let alone someone whose brother-in-law musician Raymond Leyris was involved in killing Algerians during the independence war,” he told Al Arabiya. He also accused the Algerian government of involving people in “petty” issues so that they can be distracted from their real problems. Prominent Algerian activist who goes by the name “Algerie Salah de Londre” posted a video on You Tube slamming the invitation. In the video, entitled “Mehal welcomes Enrico Macias in Algeria,” Salah de Londre said that Algerians have no problem with people’s religions and that it is not about Macias being Jewish, but his support for Israel against Palestine especially during the aggression on Gaza, known as Operation Cast Lead. “Did you ask Algerians and the residents of Constantine if they are willing to receive Macias?” he said addressing Mehal. Salah added that Macias’s grandfather is known for having urinated in a mosque in Constantine in order to humiliate Algerians. 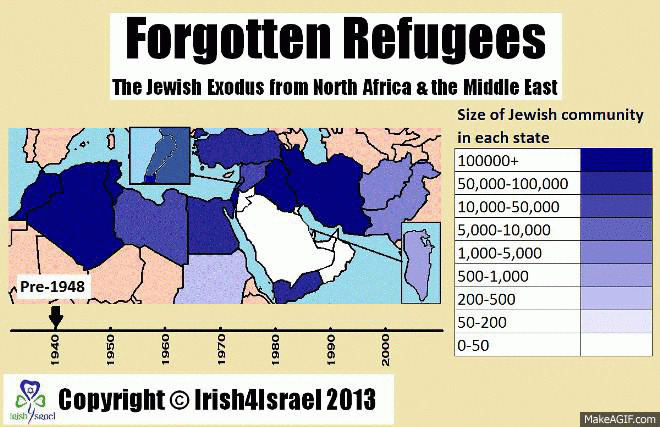 High time Israel "played the refugee card"
Edward Said's orientalist dream - or nightmare?